It's no secret that the adoption of edge computing has been on a steady rise in recent years - so where will it take us in 2019? The increased use of encryption-enabled software solutions will now be mandatory due to the clear market movement towards decentralized storage at the edge. Cost and increased security will become king at the edge due to several market shifts during 2018. Organizations will no longer tolerate being oversold unnecessary hardware and will turn to network virtualization in unison as a more practical, cost-efficient solution. 1. The Continued Rise of SDS. More and more data collection and processing is being conducted through software-defined storage (SDS) solutions, so the importance of and reliance on hardware-centric solutions will continue its decline. Customers will continue the trend towards software adoption as most SDS solutions are hardware agnostic and allow for ultimate flexibility. Organizations will no longer accept being oversold custom hardware products and services from manufacturers just looking to make a buck. 2. Encryption and other Cybersecurity Methods Skyrocket. As facial recognition software goes mainstream in retail outlets, vehicle monitors become standard and video surveillance cameras pop up seemingly everywhere, more organizations have further insight into the mass population than ever before. The rise of "Big Brother" introduces the potential for wrongdoing and misuse of data. Organizations will be forced to focus more of their time and budget on measures to protect sensitive data. 3. Adoption of Open-Source Hypervisors. End users are tired of paying the "hypervisor tax" - which significantly increases the total cost of edge computing solutions. They still require virtualization to be able to run all their local apps on one highly available system, but open source hypervisors have improved so much and are now ready for enterprise-class usage. We'll start to see this movement at the edge first (where cost is king) and eventually work its way to the primary datacenter. 4. The Rise of SDN and NFV. The two network virtualization approaches-Software Defined Networking and Network Function Virtualization-will interweave with highly available software-defined storage solutions at the edge due to their affordability and ease of use. Again, the days of IT being dependent on expensive, proprietary hardware are numbered. As your organization plans for 2019, consider encryption-ready, software-based solutions that can unlock the potential of your existing hardware to reduce costs, save time and eliminate stress. 2019 will be a time where IT generalists, who have replaced IT specialists, will have more options than ever before to transform, secure and simplify their edge computing environments. Follow me on Twitter @brucekornfeld to continue the discussion. Bruce is an experienced technology executive who has held leadership roles in marketing, alliances and business development in the storage, server, networking and software industries. He joined StorMagic in 2017 as CMO, and today serves as general manager of the Americas, where he is responsible for the Americas region sales and go-to-market strategy, as well as global strategic alliances and marketing. Prior to joining StorMagic, Bruce held marketing leadership positions at Compellent, Dell and NCR. 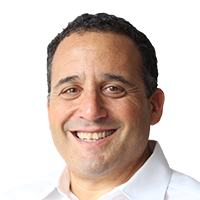 He helped Compellent grow its revenue from $9M to more than $150M, which led to their IPO and eventual sale to Dell for $960M and was instrumental in building and growing Dell's first storage division to over $1bn.